Happy 4th of July! 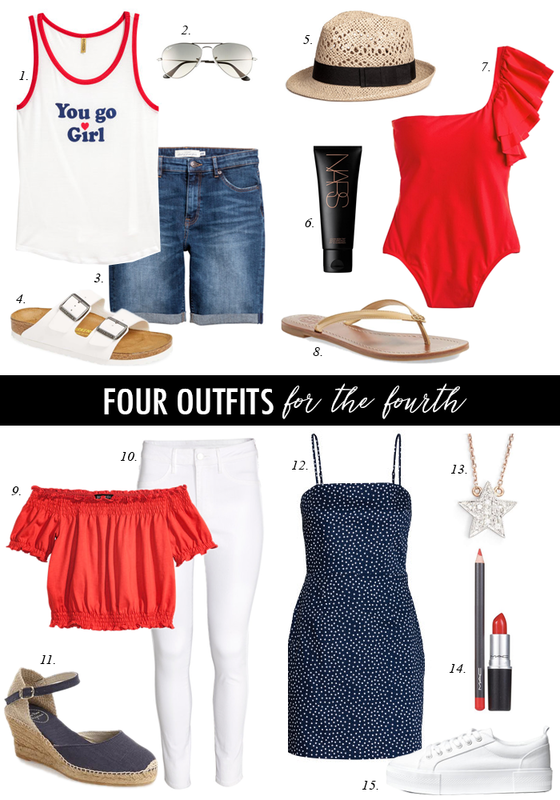 Here are a couple of ideas of what to wear for the 4th, as well as a round up of some of the best sales & deals. I will be taking the rest of the week of the week off - see you back next Tuesday - to start getting ready for the big Nordstrom sale that starts on Thursday! You can read more about my preview and picks here. These cute ruffled sandals that come in blush, red and black are only $13. This cute ruffled skirt is only $14. This plaid shirt dress is on sale for $30. This striped jersey dress is on sale for only $18. My favorite sundress is on sale! This mascara says it lengthens lashes - just like fake lashes. And, it’s only $12. This cute midi dress is on sale for only $16. This cute ring set is such a great price - with four fun & different rings. These lace up wedge sandals are only $18 on sale. See you back next week! Have a great week. Cute shorts! I love the longer length. Love every pieces! Great post!